Many newbies in the blogging field come across a common issue. They write really good content and articles, however they don’t get ranked on Google. It seems that their work are invisible to Google. Many people at the very initial start of their blogging stage, they tend to give up just because they don’t get ranked. Let me tell you, that there are many people who are full-time bloggers and even make thousands of dollars or even more per month, just because they have not given up. They are started at the same level as you newbies, but they kept motivation up even in the bad times. From my personal experience, I am no full-time blogger, but I do make some decent amount of money from blogging. And for this reason, I would like to share my experience with you by preparing this guide on how to find profitable keywords with low competition to help you out. Coming back to the topic of discussion, the question is – Why does Google ignore us even though we write good and unique articles? Well, the answer is simple, let me make a metaphor so that you can better understand. Suppose, you design a new revolutionary technology like a smartphone, which has a unique feature – who apart from you will know that you have a unique product in hand unless you advertise it well on the market. By advertising, I am not saying that you should advertise your content on ads like Facebook Ads or Google Ads, because you will end up spending lots of money. Here we are mainly referring to advertising your content through keywords ranking so that you can obtain organic traffic from Google. In this guide, you will learn how to find profitable keywords with low competition. Low competition keywords because they are potentially easily to rank in Google. How to find Profitable Keywords with Low Competition? The most common and easy to rank keywords are long tail keywords. Basically, long tail keywords are those combination of words which are long enough to rank easily but with a moderate amount of search volume per month. Obviously, having a long tail keyword which has a low competition on Google with a decent amount of search volume is not the only ranking factor here, there are other parameters like On-page SEO, Off-page SEO and loading speed which are equally highly important, but they are not in the scope of this article, but will be discussed later on. There are several platforms which are available online, which can help you a great deal in finding profitable keywords. I will not go through all of them, but I will explain to you how to use some of the major ones. 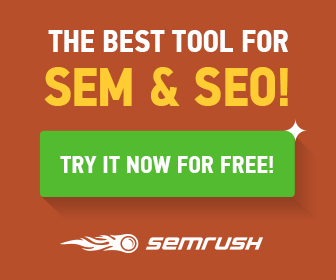 If you want to go in details in the semrush keyword tool to identify the most profitable keywords with low competition, you just need to follow the following steps. Click on the “Top Organic Keywords”, then you will get a list of the topmost keywords ranked for the url in question. Then click on the Keyword Difficulty (KD) button to sort it in ascending order. You will then get a list of keywords which are long tail keywords and have a low competition and profitable to your business/niche. You will get a list of the top 10 most low competition keywords, which can be really helpful as a startup. However, if you want to go in the details in the profitable keywords analysis, you need to get a semrush paid plan so that you can get more than 10 keywords. This is one very powerful tool that I use a lot. With that tool, you can very easily find long tail keywords which have low competition. It’s a paid web-based tool, with the starter plan starting at $25 per month but the results are just incredible. You get around 10,000 keyword searches per month. You just need to enter seed keywords in relation to your topic or niche, and the tool populates keywords based on your amount request. The good thing about Long Tail Pro is that it also gives you the Keyword Competitiveness (KC) value. Typically, from my personal experience, a KC value less than 25 is ideal if you want to rank for that keyword easily. Additionally, on clicking on any specific keyword, you get more details of the competitors ranking for that keyword. As an example, for this article, I used the long tail keyword “how to find profitable keywords with low competition”, which has a KC of 21 and I am sure I will get ranked on the first page of Google quickly. Page Authority (PA) of the url or page. Domain Authority (DA) of the url or page. Number of backlinks to the url or page. Type the keyword in your Chrome browser and voa Google Searchbar. Click CTRL + F on your keyboard and type your keyword in question in the search box. You will see how many of the competitor websites have used that keyword in their titles or urls or meta description. If you see very few who have used that keyword, then definitely that keyword has a low competition. Activate the Mozbar Toolbar and you will see the above attributes for the top ten search results. As an example, I used the keyword “seo tips” to show how Mozbar works. Check all the Mozbar results for those urls you have identified in Step 2. On comparing the PA, DA and number of backlinks, you will now know what it takes to easily outrank them on Google. Using this fool-proof method you will definitely find profitable keywords with low competition. Initially, you might find it a bit difficult, but let me tell you, with some practice, it will be as simple as ABC. There might be hundreds of keyword tools out there on the net who claim how to find profitable keywords with low competition but the truth is that the best way is to observe and analyze those keywords on your own by making use of these two free keyword tools Semrush and Mozbar. You just need to develop the required analytical skill to find those low competition keywords.